JEPIC has been conducting bilateral seminar program with electric utilities in ASEAN countries with strong support from electric power companies in Japan. The purpose of the program is to strengthen their business infrastructure such as basic and expertise technologies, management and human resources development. JEPIC and PLN, the Indonesian electric power corporation, launched their bilateral cooperation program in 1991 by holding the first seminar in Japan. The first visiting seminar in Indonesia was carried out in 1992. After the initiation, JEPIC and PLN have been continuing annual seminars in Japan as well as in Indonesia. 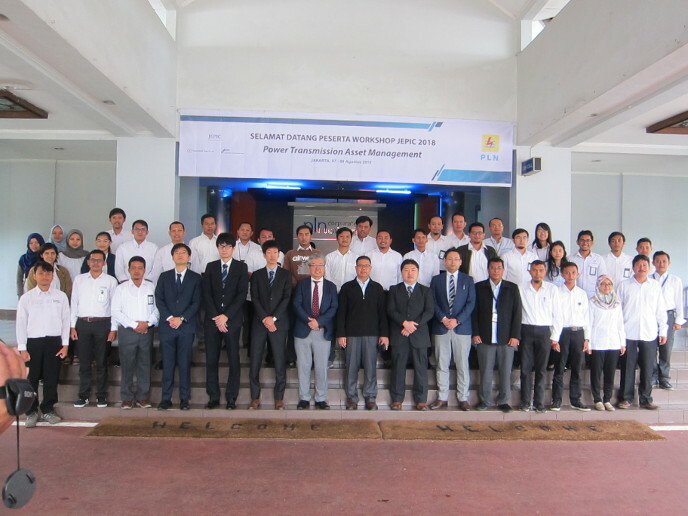 Mission Member from Japan ： 2 experts from Tohoku Electric Power Co., Inc.
2 experts from The Chugoku Electric Power Co., Inc.
43 PLN participants attended the Seminar from many regions of Indonesia. After the presentation, we had a fruitful discussion and shared opinions.